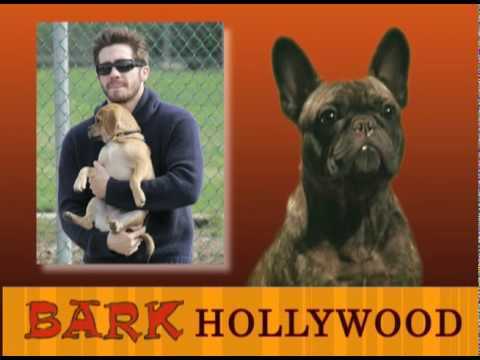 BARK HOLLYWOOD: The Bark Hollywood Team’s Mash Up of Potter’s Daniel Radcliffe, Betty White, The Jersey Shore Brats, Kitty Kelly, Nic Cage & More… TODD’S SHUFFLE 17: Todd answers a Promotional Ad that offers a free Lamb Chop. Dame Bisquette gives some "common scents" advice for little Sparky. BARK HOLLYWOOD 17: The Bark Hollywood Team gnaws away at The Jersey Shore, Kid Rock, Heidi Montag, Taylor Swift & Robert Pattinson. TODD'S SHUFFLE 5 : Todd interviews with a down-home couple obsessed with berry pies. Evan gets feisty with his sports jock neighbor. Freak of the Week: Rat Dog. BARK HOLLYWOOD: The Bark Hollywood Team tosses around potential flings with the likes of Anne Hathaway, Erin Andrews, Taylor Swift, Gisele Bunchen, The Olsen Twins, Tyra, Oprah, Seth Rogen, Maxim Chmerkovsky, Lindsey Lohan, James Franco & more… TODD’S SHUFFLE 16: Todd is sent to a shrink after a freak shower incident. Evan fends off a fanatical BBQ-ing neighbor. BARK HOLLYWOOD 15: The Bark Hollywood Team Uncovers Facts from the World of Entertainment that might suggest the End of the World is near. TODD'S SHUFFLE 3: Todd has an annoying audition with Gen. George Washington. Dame Bisquette offers Tips on Feeding Fido. Freak: Annoying Commercials. NBC GOES TO THE DOGS, TODD'S SWEET GIG & THE DAME! 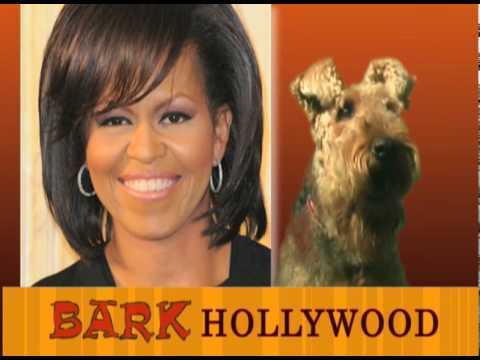 Bark Hollywood 14: Due to NBC's Talk Show Meltdown with Leno & Conan, The Bark Hollywood Team offers the panicked Network Original Programming for their 10:00 Time Slots. Todd's Shuffle 2: Todd gets a job as a Neurotic Pastry Chef's Assistant. Dame Bisquette gives tips on dogs that whiz when guests arrive. Freak of the Week: Muzzle Dog. BARK HOLLYWOOD: The Entire BH Team Reports on The Golden Globe Awards including Meryl Streep, Precious, Sandra Bullock, Mariah Carey, The Hangover and more…TODD’s SHUFFLE 1: Todd has a Blind Date with a Terrier from Hell. Dame Bisquette “Plays Dead” for Pet Affection.